The Rose arch is 750mm deep by 1.40 metres wide. It is made from pressure treated diamond trellis giving it a longer durability and quality. Rose arches can add that structure and design to your garden. Create a stunning garden entrance or open up pathway views with our garden and patio arches. Our Rose Arch is 750mm deep by 1.40 metres wide. A pergola arch is a beautiful addition to your garden. Arches and arbours create that perfect entrance for your garden. 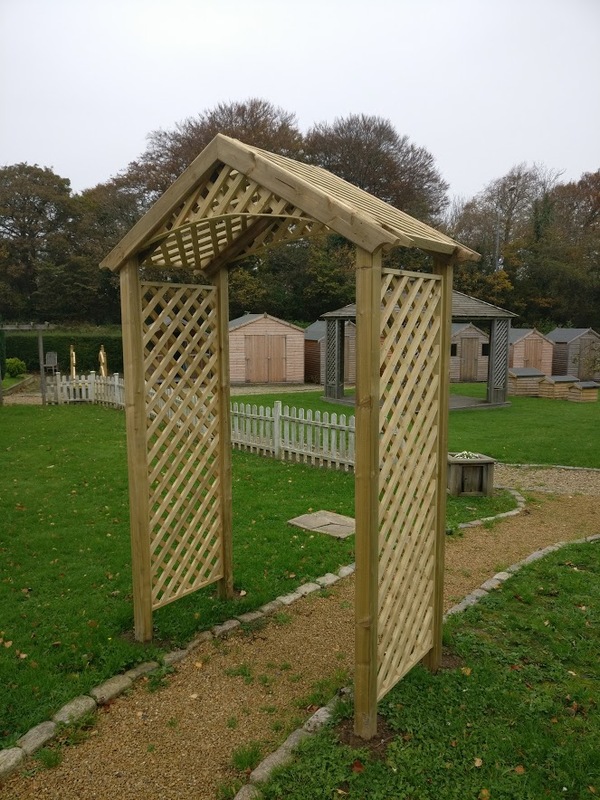 Made from the highest quality timber, our pergola arches can be supplied and fitted and also be made bespoke. 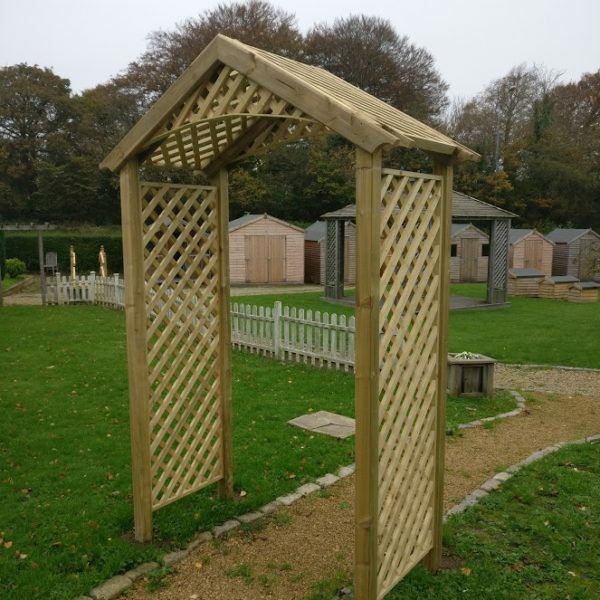 The Standard Pergola we sell here is 500mm deep and can be extended to 1.4m wide. 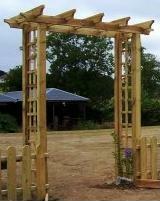 if you would like to have a bespoke pergola arch for your garden do not hesitate to give us a call for a quote! 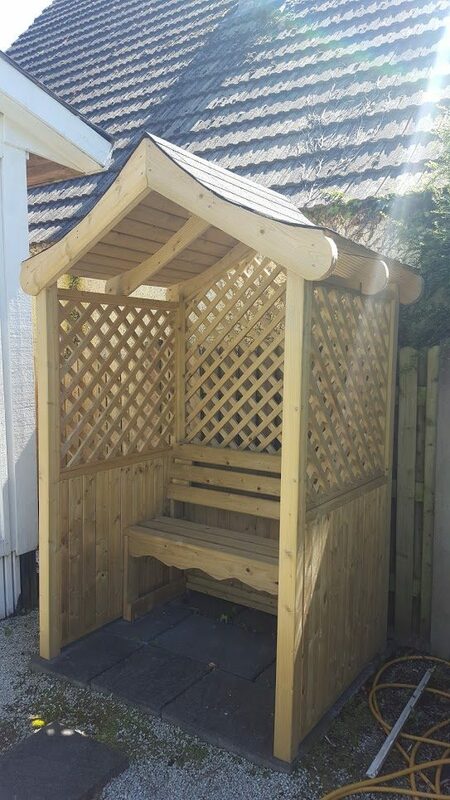 The Garden Arbour is made from pressure treated timber to give it that quality and durability. It also comes complete with felt tiled roof and interior seat. It is approximately 1.35m wide x 1.0m deep.